HOUSTON (CN) — President Donald Trump’s plan to expand offshore oil drilling spurred dueling letters from members of Congress last week, 118 of whom say the plan is critical for U.S. energy security, while 69 others doubt it — plus nearly 18,000 letters of public comment, most of them opposing expanded drilling. Only 6 percent of the U.S. Outer Continental Shelf is available for leasing to oil and gas drillers from 2017 to 2022, under a drilling plan completed in the final days of President Barack Obama’s presidency. The shelf is 1.7 billion acres of submerged federal land from 3 nautical miles off the coastline, state-regulated waters, to 200 nautical miles out. The Department of the Interior on Aug. 16 sold $121 million in Gulf of Mexico leases to more than 500,000 acres offshore Texas, Louisiana, Mississippi, Alabama and Florida — the most Gulf of Mexico acreage in the history of the federal offshore program, the department said. “The path to American energy dominance starts in the Gulf, and the hard work of rig and platform workers,” Secretary of the Interior Ryan Zinke said. Thanks to hydraulic fracturing and horizontal drilling that let drillers extract oil from shale, the United States is the world’s leading oil-and-gas producer, and Trump and Zinke want to expand production to create jobs and reduce dependency on imported oil. So the Trump administration is working on a drilling plan to replace the Obama guidelines that could open up areas that are off limits to drilling, if Congress approves, including land beneath the Arctic Ocean. Zinke became secretary of the interior on March 1, vacating his seat representing Montana in the U.S. House. University of Houston energy economist Ed Hirs said the United States imports about half of the estimated 18 million barrels of oil Americans consume each day. Oil was trading at $48.42 per barrel on Friday, down from a record $147.27 in June 2008. Hirs downplayed Trump’s call for more drilling, saying low crude prices have made companies postpone drilling in offshore areas where they know there’s lots of oil and gas. “I don’t see any positive or negative on this right away. The real challenge for offshore is the economics. Certainly the industry would like to see more opportunities available, but the concern really is the investment rate of return,” Hirs said. A large group of legislators say they support Trump’s plan, though public comments to the government trended against it. “The decisions on OCS [Outer Continental Shelf] leasing and development facing the department today will lay the groundwork for our energy and national security for decades,” a bipartisan group of 118 congressmen led by House Natural Resources Chairman Rob Bishop, R-Utah, wrote in an Aug. 16 letter to Zinke. The Bureau of Ocean Energy Management, an agency of the Department of the Interior, took public comments from June 29 to Aug. 17 for the new offshore leasing program, to run from 2019 to 2024. A bureau spokeswoman said developing a new program typically takes two to three years. Most of the 17,950 comments submitted in the final week were from people against increased drilling in federal waters, especially in the Arctic Ocean. “The American people love our oceans and coastlines, and value oil development in areas with low ecological value. But there is no way to responsibly drill for oil in the Arctic Ocean,” states a form letter submitted by dozens of Americans and put in the Federal Register. Shell Oil drilled in the Chukchi Sea in the Arctic Circle, but stopped in 2015 and decided to give up all but one of its U.S. leases there, citing high costs, disappointing results and stringent government regulations. After Shell pulled out, President Obama in 2016 designated 125 million acres of the Arctic Ocean, including the Chukchi Sea, off limits for oil and gas leasing, in a joint move with Canada, which agreed to stop leasing its Arctic waters to drillers. Obama also established the first national monument in the Atlantic Ocean in September 2016, banning oil drilling in 4,913 square miles off the coast of New England. In response to the congressional supporters of Trump’s plan, 69 lawmakers, headed by Rep. Jared Huffman, D-California, told Zinke in a letter Thursday they oppose oil-drilling leases in U.S. Arctic waters, warning that a mishap there could be worse than the 2010 spill of 4.9 million barrels of oil into the Gulf of Mexico from BP’s Deepwater Horizon drilling platform. “Compared to the Deepwater Horizon disaster — which took place in the infrastructure-rich Gulf region and still took 87 days to stop — any development in the Arctic Ocean would take place 1,000 miles from the nearest U.S. Coast Guard station, throwing one of the world’s most fragile ecosystems into jeopardy,” the opponents wrote. 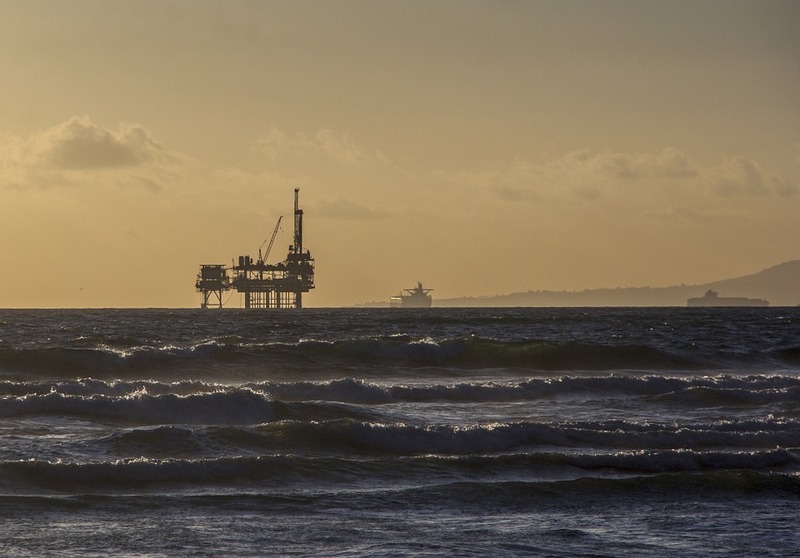 The Trump administration would like to lease some of the protected areas to drillers, and the public comment period was the first step toward a replacement offshore leasing program. The more than 26,000 comments it received about the new plan are just the start. The Bureau of Ocean Energy Management will open up 60-day and 90-day windows for comments and host public meetings after releasing a draft of the program, bureau spokeswoman Tracey Moriarty said. Hirs, the energy economist, said despite the Trump administration’s call for U.S. energy independence and the shale-drilling revolution that has made the U.S. a leading producer, the country will continue to rely on imports because our drilling costs are comparatively high. For example, he said, in 2014 Saudi Arabia produced 9 million barrels a day from 3,100 conventional wells, while the U.S. produced about 4 million barrels a day from 22,500 shale wells. “The U.S. is one of the high-cost producers, is perhaps the high-cost producer for oil and gas in the world,” Hirs said.